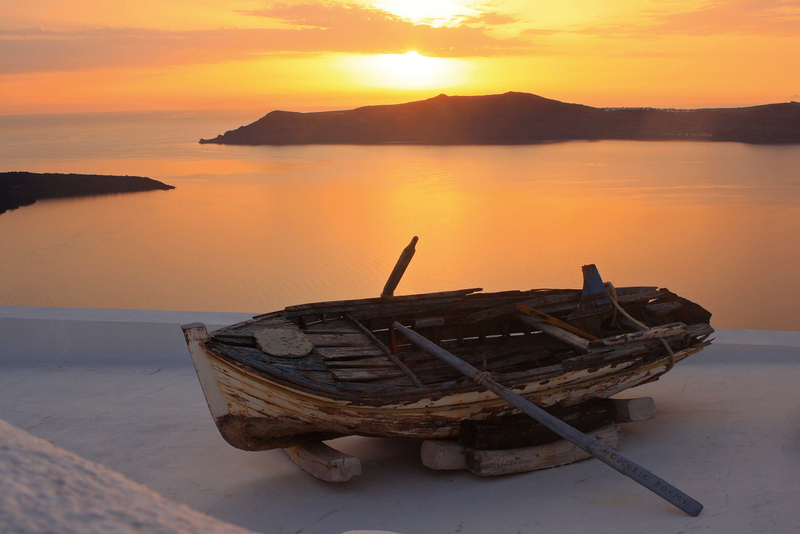 Captured by IT reader Brian Scott in Santorini, Greece. This issue’s winner in our ‘Your Shot’ photo competition, captured by IT reader Brian Scott in Santorini, Greece. “We spent three weeks in Greece on the way home from England, visiting Athens, Mykonos, Naxos, Paros and Santorini. We decided to finish the holiday on a high so we booked a week at a wonderful place at Fira called Hotel Anteliz. I walked along the path from Fira (towards Skaros) as the sun started to set and I shot about 20 photos while looking for something that would help to give a balanced composition. Luckily the hotels use old fishing boats, grape presses and large pots as decorations on their rooftops and this old boat provided a wonderful foreground as the sun set in the background over Nea Kameni Island. Taken using: Canon 40D, 28-80 mm lens @28mm, 200 ISO, 1/20th sec, hand-held. Got a winning photo from your travels? Upload your best image via our Your Shot Photo Competition page. To be considered, it must be sent as high-res (300dpi at a minimum of 10cm wide). Don’t forget to include your name, email and a brief description of the destination photographed. lots of useful information, thanks for providing these kinds of data.